Anyone who has ever owned a pony, or any animal, knows it's not "just" anything. In 2013, the Livestock Conservancy published an article written by our Executive Director, Emily Chetkowski, detailing her journey with the Newfoundland Pony and how she became a champion for the breed as well as the history and heritage it represented. For the full article, click here: "Not Just a Pony" on pages 6-8, though the whole journal covers why any heritage breed matters. For Villi Poni, the story starts with a tragedy. 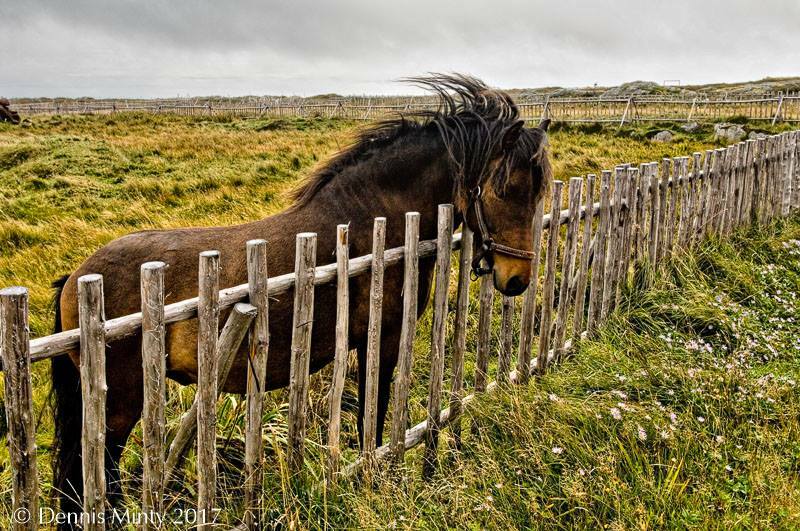 Photo by Dennis Minty, Newfoundland Photographer and graciously permitted for Villi Poni to use here. Midnight Trumpeter, named so because he was born at midnight and let out a huge neigh, was a beautiful bay Newfoundland Pony from Tilting, Fogo Island. Trumpeter had a hard life and it showed over time as an aggressive personality. When he found his way to a different farm, he was adopted out to owners who were not prepared to take on an abused pony with trust issues towards people. When we were alerted to his situation, we were informed that if someone didn't come get him, he would be put down. Frantically networking with people in an effort to save him, we found a home that was familiar with the breed and with problems like his and we were confident that he would be safe in experienced and caring hands. The following morning we awoke to an e-mail informing us that under the advisement of people thought to be knowledgeable, Trumpeter was shot and killed. It had been less than 24 hours. Our goal is to have a network of knowledgeable adoptive and foster homes, transport and veterinarians to prevent anything like Midnight Trumpeter's story from repeating.